Personal and caring shop just for Lexus and Toyota owners. We provide a more accessible and friendly service compared to the dealerships. We stand behind our work with the strongest guarantee out there. We specialize in Lexus and Toyota only. Read more. We are factory trained on Lexus and Toyota vehicles. Our customers see a money savings over the costs at the dealerships. Our services meet and exceed the factory under-warranty maintenance requirements of both Lexus and Toyota . We use original factory parts. 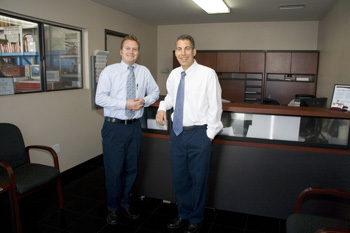 We are a family owned and operated business since 1989. We only recommend services and repairs that are truly needed. We set realistic expectations on turnaround time and costs. We are guided by our personal integrity & honesty. Long business hours: 8-6 Monday through Friday, 8-4 the first Saturday of the month.